Though Windows 7 basic menu is more beautiful then classic menu style. 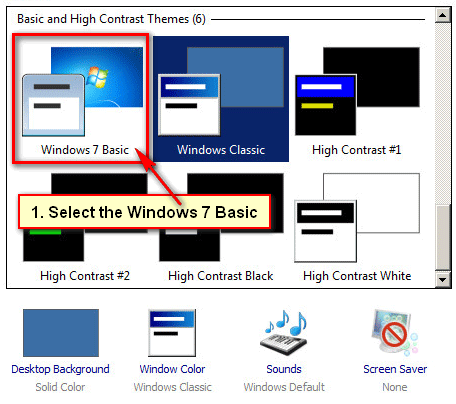 Windows 7 has default basic menu, but if you want to change it classic menu then you can do it. 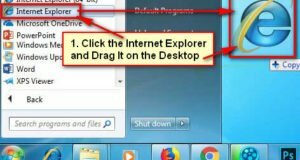 Only one minute you can change start menu in Windows 7 to classic start menu or Windows 7 basic start menu. 1. 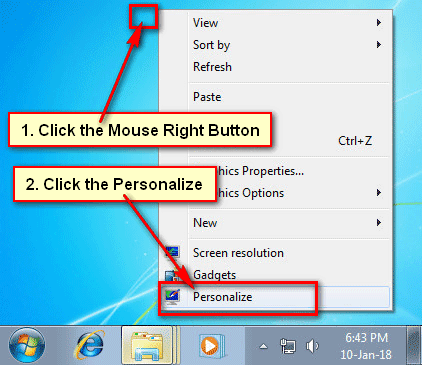 Click the mouse-right button blank on your desktop then you will see few options, click the Personalize from the hare. 2. You will see a new page. Scroll down below of the page to find out Basic and High Contrast Themes section. 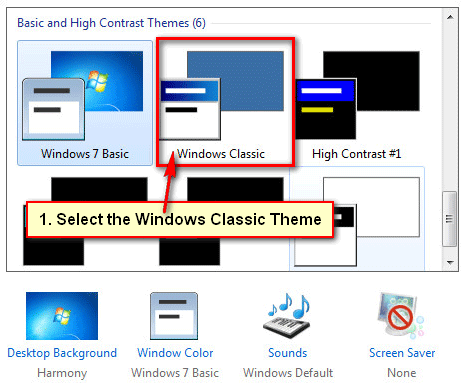 Select the Windows Classic text with the theme to change start menu in Windows 7 classic start menu. 3. You will see a “Please wait” message, wait until you see the change. After that, you see your start menu will change on the classic start menu. Using the way, you can change your start menu button. 1. 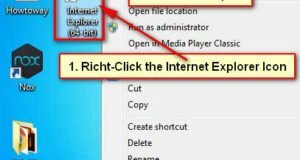 Click the mouse-right button up to your computer desktop screen. Few options will open then click the Personalize text with monitor icon from this list. 2. Personalization page will open. Scroll down below of the page to find out Basic and High Contrast Themes section. 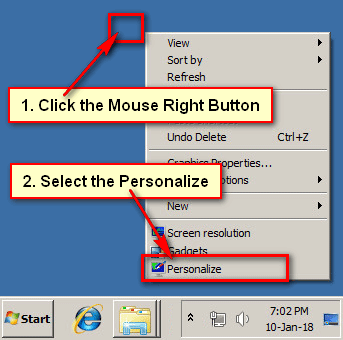 Click the Windows 7 Basic text with the theme to change Windows 7 classic view to normal view. 3. You will see a “Please wait” message, wait until this process will finish. After that, you will see your start button on Windows 7 default view. 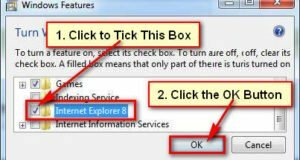 Using this way, you can change Windows 7 classic view to normal view.